Visiting Florence churches is a must if you want to see some of the city's most wonderful art work. During the renaissance, and also before, the church was the main patron of the arts in Florence which meant that most of the art work created was meant for decorating these religious institutions. While it's true that much of the art work has since been removed and placed in the city's many museums, still much remains in the churches today. 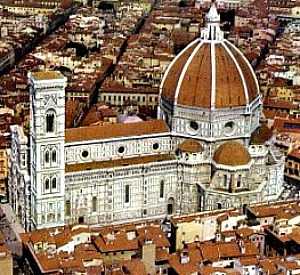 This page offers you a list of the most important churches in Florence with useful information about each. The 'Duomo', or Florence Cathedral, is the city's main basilica and one of the most impressive churches belonging to the Christian faith. Not just a church, but a complex including Giotto's Bell Tower and Brunelleschi's dome (cupola), the Duomo of Firenze is a must-see for any visitor to the cradle of the renaissance. Built over 3 centuries, this monumental achievement whose towering dome can be seen from literally miles away, is the pride of Florence churches and the heart of the city's religious and civic life. 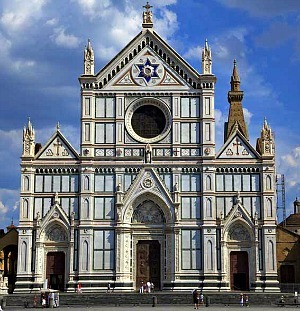 The second most famous of all Florence churches is Santa Croce. This church is most widely known for being the final resting place of many illustrious Italians. Here you can visit the tombs of Michelangelo, Galileo, Machiavelli, Gioacchino Rossini and many others. Santa Croce is also a paradise for art lovers with works by Donatello, Giotto, Gaddi, Brunelleschi, Vasari, and even a contemporary piece by Englishman Henry Moore. 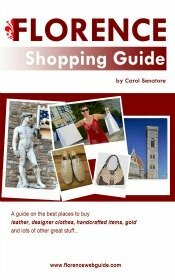 This is also where Florence's magnificent leather school is located, in the former dormitories of the Franciscan friars who founded Santa Croce. 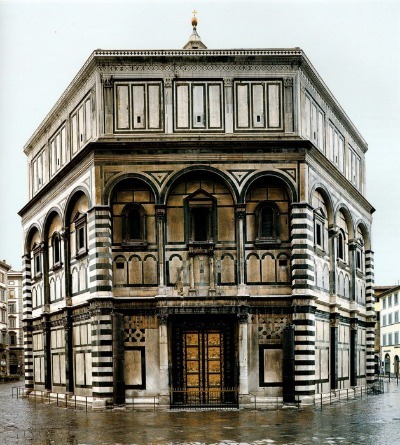 The Baptistery must be included among Florence churches as it was originally the main place of worship of Firenze. This is one of the city's oldest religious edifices and the baptistery still plays a very big part in the life of Florence. Of course, the building's piece de resistance are the 'Gates of Paradise' (as Michelangelo dubbed them), the golden doors sculpted in bronze by Ghiberti. Not everyone knows that the baptistery actually has three sets of bronze doors, each a masterpiece in its own right. Inside, you will be wowed by the 13th century mosaics.